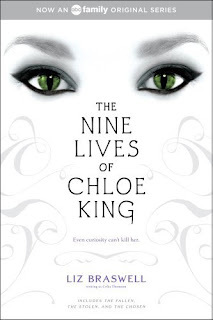 I watched The Nine Lives of Chloe King TV series on Netflix based on the trilogy of the same name by Liz Braswell (who originally published the series under the pseudonym Celia Thomson). I really liked it! Sadly, this series only made it through one, 10 episode season (ABC! They apparently have a thing for cancelling shows). So I bought the omnibus paperback. I couldn't help it (it's on sale on Amazon and the series ending was just too intense not to find out what happens). 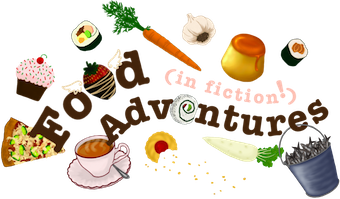 More about this story and show after I read the book. Saturday was the awesome Authorpalooza event at the Orem Barnes & Noble. 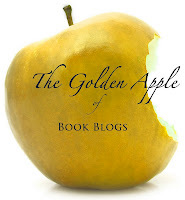 SO MANY authors were present! Many of them were youth authors. Here's the list: Jessica Day George, Jenni James, Debra Hulet, Frank Cole, Berin Stephens, Kim Justesen, Kristen Chandler, B. K. Bostic, Paul Talbot, Cindy Hogan, Michael Young, Jewel J. Adams, J. A. Anderson, Joy Spraycar, April W. Touchette, and Jennifer Laurens. If you'd like to see some photos, please click here. What are some other releases this past week? 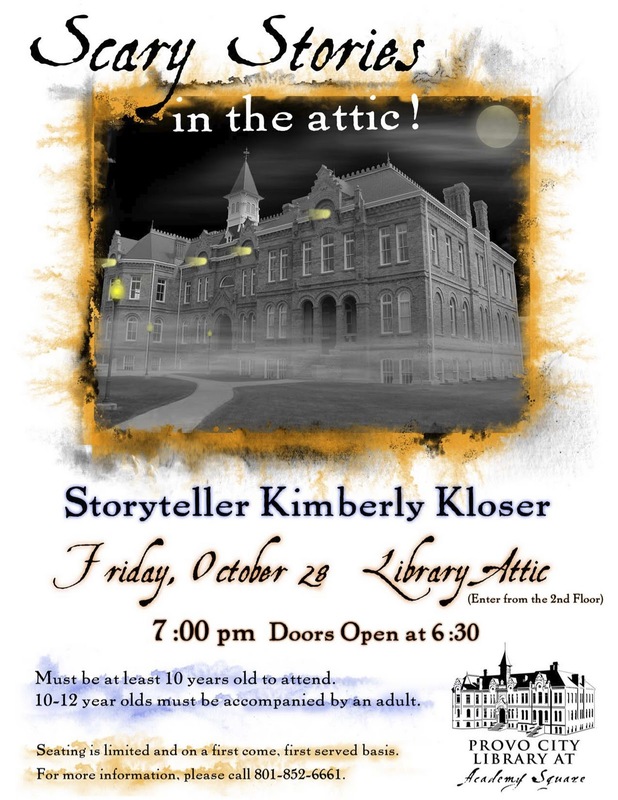 Friday, Oct. 29th, is the Provo Library's "Scary Stories in the Attic". It must be pretty intense because you have to be 10 or older to attend! 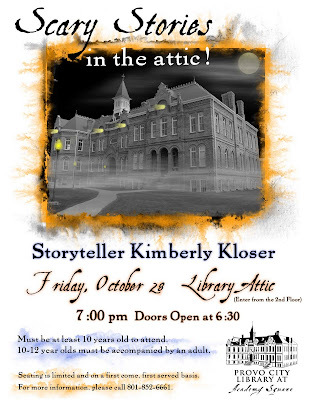 The program starts at 7 PM, but seating is limited so the library recommends that you get there early. And it really is in the library's attic. First off, the tickets for the Ally Condie key note address for the November 12th, PCL Teen Book Fest will be available to Provo Library cardholders starting at 9:00 AM at the library. 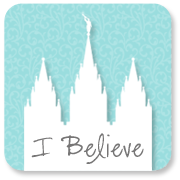 At 5:30 PM at the University Village Deseret Book in Orem, Richard Paul Evans will be doing a book signing. And for any of you WriMos out there, the official, Utah County NaNoWriMo kick-off party is from 6 - 9 PM at the Dragon's Keep (260 N. University Ave., Provo). Please bring something yummy to share or pitch in for pizza! What are some other upcoming releases we should know about? ?